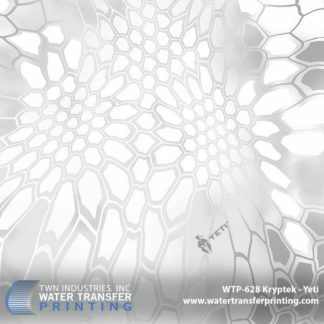 PRINCETON, FL – July 30, 2013 – TWN Industries Inc., The leading Water Transfer Printing supplier, announces the release of Kryptek Nomad™ and Kryptek Mandrake™ camouflage film patterns. These new patterns will join the Kryptek line (Raid™, Typhon™, Highlander™, and Yeti™) which were released last summer. The two new patterns lend themselves to almost any transitional terrain, making it an excellent tool when stealth can’t be compromised. With its transitional shading and random geometrical foregrounds, the hunter or soldier can be assured the utmost in concealment. The patterns incorporate visual deception based on the mimicry of foliage, animal, marine and geographic visual qualities. These key characteristics play an integral part in the success of the product. Mandrake’s™ color and design make it especially useful in greener, forest-type terrains. Nomad™ is right at home in any dry desert or rocky terrain. Regardless of where you find yourself, you can rest assured that you’ll be out of sight. The Nomad™ and Mandrake™ water transfer printing film is available exclusively through TWN Industries, Inc. Three meter accessory packs and production quantity film is available immediately. 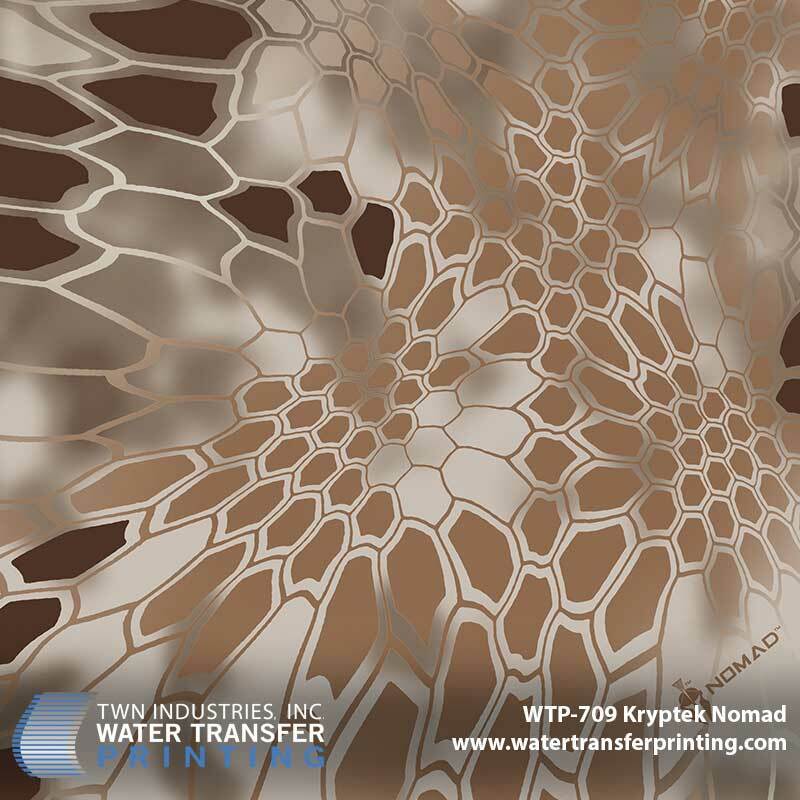 The part numbers are as follows: Kryptek Nomad™ WTP 709 and Kryptek Mandrake™ WTP 708. To find a TWN Certified Decorator to decorate products for you, or to purchase film call 305-258-9622. Mandrake’s™ color and design make it especially useful in greener, forest-type terrains. Nomad™ is right at home in any dry desert or rocky terrain. Designed for those geographical regions and elevations that are varied. Kryptek Highlander increases stealth when pursuing a wide range of quarry in mixed terrain. Created for those situations when the quarters are close and the jungle is urban. Kryptek Raid is the camo for finding that prey that lurks in the shadows of the streets. When conditions worsen and the temperatures fall, when days are short and the shadows are long, Kryptek Yeti provides concealment when cover is only found in the subtle creases of the snow pack. 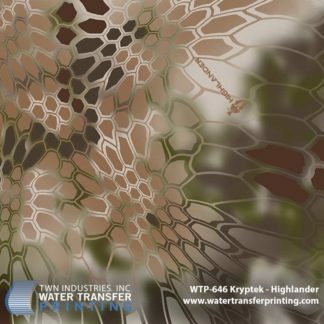 “When Shadows Are Not Enough” Kryptek camo patterns provide a tactical advantage to the Operator by reducing visual acquisition through the combination of proven camouflage concepts, scientific principles and field testing. 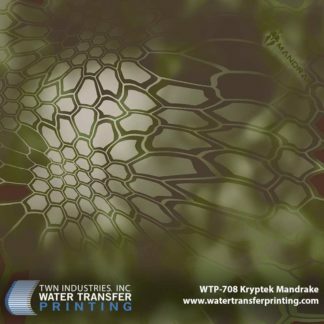 The Kryptek designs incorporate proven principles of visual deception based on mimicry of foliage, animal, marine and geographic visual qualities. These principles have been combined with evolutionary concepts and fused with state of the art technology to offer the utmost in effective concealment in differing environments. In January of 2012 Kryptek patterns were selected as a finalist for US Army Camouflage Improvement Program. 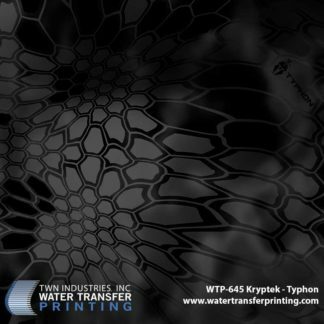 For more information visit: www.kryptek.com.